NN: A lot is written about you and on the story of you sleeping in a car for a while during your time at Red Star, how do you feel when you look back on that? (Taken from Semberske Novine). Jović’s goal helped bring the Serbian SuperLiga back to Red Star, taking their total to 26 league titles, one more than their terribly fierce rivals Partizan Belgrade (25). But whilst Luka was beginning to find his feet on the pitch, money was hard to come by. The Bosnian-born, Serbian international would often resort to spending nights in a car. Far from the luxury of professional football. At 18 years old, Luka and his family were threatened, held at ransom. The racketeer demanded his family pay a large sum of money. If the Jović’s refused, he promised that he would see to the breaking of their dearest Luka’s legs. Not to worry, the man behind the ransom was quickly located and arrested. Charming Serbia. Real charming. Talk about piling on the pressure. The ‘General Director’ of Red Star had only gone and labelled Luka Jović as the next Radamel. Keep in mind that this is Atlético Madrid 25+ goal a season Radamel Falcao; not the ten appearances (nine from the bench) Falcao we saw at Chelsea. No one wants to be like that. In February 2016, Benfica paid Red Star a measly £2m for their prize possession. Despite Luka only being 18 years old at the time, £2m was still seen as an incredibly low figure. 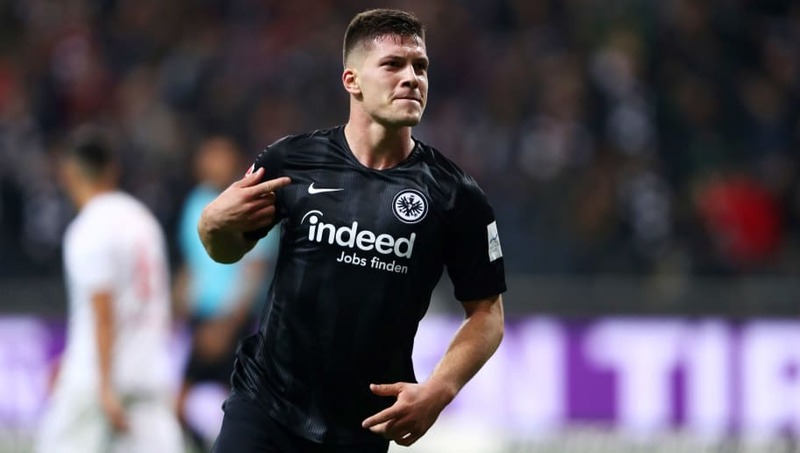 A season with the reserve team and a loan spell later, Luka Jović is one of the hottest prospects in football. On 19th October, Luka Jović put the world on notice. Still just 20 years of age, he became the youngest player to score five goals in a Bundesliga game (7-1 win v Fortuna Dusseldorf). What caught my eye was the manner of the goals, especially his first: an acrobatic overhead/scissor kick of sorts. The way he strikes the ball gives me goosebumps, instantly drawing comparisons to the one other man that can have that effect: Mauro Icardi.